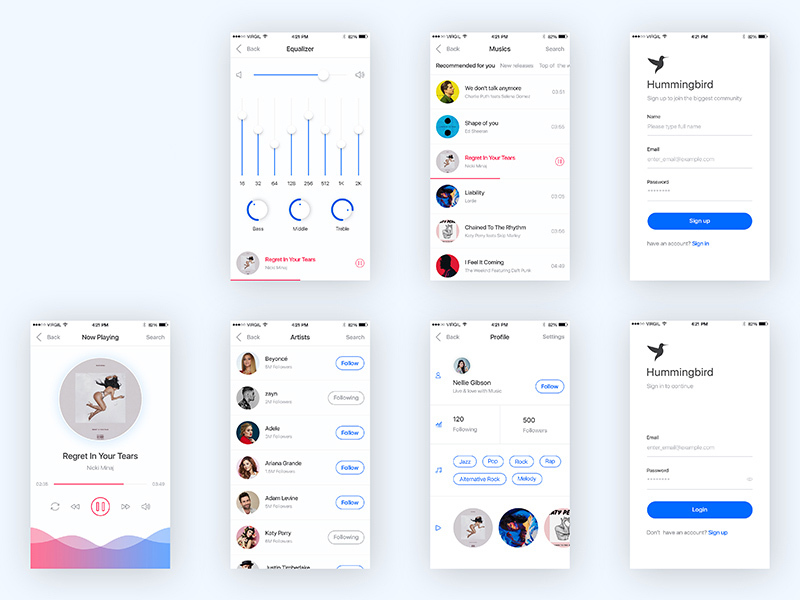 Hummingbird – Music App Screens is a free elements UI KIT.Download MOBILE APP DESIGN TEMPLATES. I am delighted to share with you a flat UI kit PSD free download. Hummingbird – Music App Screens is a stylish, pixel perfect which will help you in designing a beautiful web pages or applications. This MOBILE APP DESIGN TEMPLATES perfect for app, clean, equalizer, free app, freebie, free ios, ios, music, music player, profile, singers list, ui challenge. All the needed elements are present in this kit using which you can get the exact look you are looking.